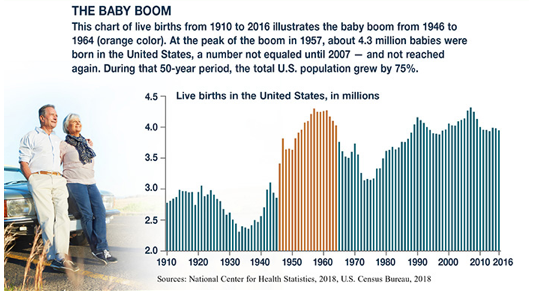 The baby boom generation was the largest and longest birth bonanza in U.S. history, extending 18 years from 1946 to 1964. With that wide spread, it’s natural that older baby boomers might have different feelings and experiences regarding retirement than younger boomers. The good news is that retired boomers are generally happy with their retirement experiences. Six out of 10 say they feel better than expected about retirement, and three out of 10 say it’s about what they expected. Only 10% are disappointed or have negative feelings, typically citing financial stress. 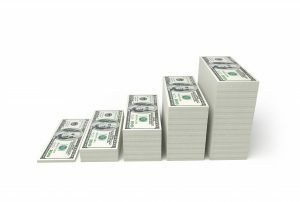 Three out of four said their financial situations at the time they retired were better or about the same as they expected. Only 23% did not meet their savings goals and had to adjust their spending. 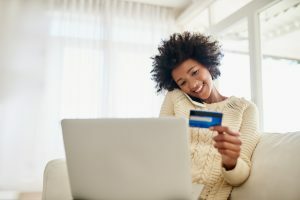 For many of them, reduced spending had not fundamentally changed their outlook on life, and closeness with friends and family often made up for lack of money. It’s worth noting that even those with sufficient assets were surprised by how much they spent on health care, travel, and taxes. By contrast, 59% of working Americans across all ages — and 65% of working boomers — said that worrying about having enough money in retirement was one of their top financial concerns. Only 27% of retired boomers said the same. Some of this difference might be due to fear of the unknown. While you are still working, the idea of living without a paycheck may seem daunting, even if you have a solid savings balance. Working boomers were more nervous about money than retirees even when both groups had similar nest eggs. Rising college costs. People have children at different ages, but, in general, younger boomers have faced higher inflation-adjusted college costs that may have reduced the income available for retirement savings. They are also more likely to have provided their children with support after college.